The bench was hearing three PILs filed by two Rohingya immigrants -- Mohammad Salimullah and Mohammad Shaqir -- and Zaffar Ullah and Harsh Mander on the issue. NEW DELHI: The Supreme Court Friday deferred to January next year the hearing on pleas seeking to restrain the Centre from deporting over 40,000 Rohingya immigrants back to Myanmar. "Let the matter be listed for final disposal in the month of January, 2019," a bench comprising Chief Justice Ranjan Gogoi and Justice S K Kaul said. They have challenged the government's decision to deport the Rohingya immigrants back to Myanmar and condemned the pitiable conditions at the camps for them here. 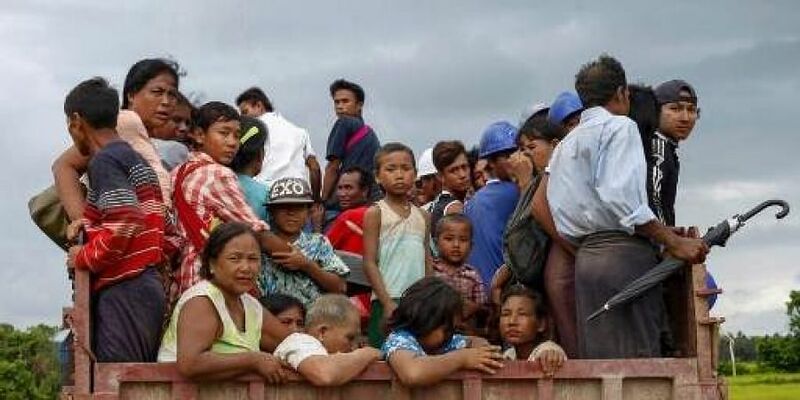 Earlier, the apex court had cleared the hurdles, leading to the first-ever deportation of seven illegally-migrated Rohingya people staying in Assam to Myanmar by dismissing the plea that had sought to thwart the government's move. Lawyer Prashant Bhushan, appearing for Salimullah and Shaqir, had said various basic facilities related to education, healthcare and foodgrains were being denied to the Rohingya people as they did not possess IDs like Aadhaar. The court has now posted for final hearing in January next year the petitions challenging the Centre's decision to deport over 40,000 Rohingya refugees, who came to India after fleeing Myanmar due to widespread discrimination and violence against the community. The Rohingya people have also sought permission to enter India, besides education and healthcare facilities and grant of refugee ID cards by the Foreigner Regional Registration Office.